Which Style Of Yoga Is Good For General Fitness In The UAE? 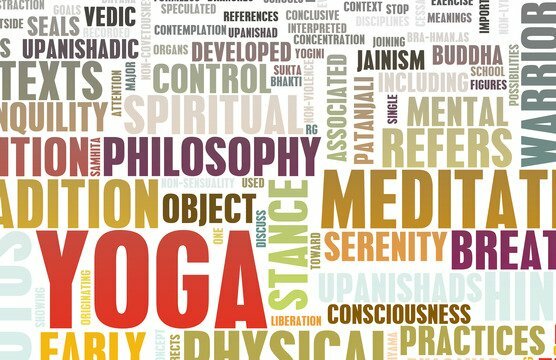 Does practicing Yoga provide general fitness benefits and if so which style of Yoga is best for general fitness? Yoga has so many health benefits for body and mind but does Yoga help with general fitness in the UAE? There are so many different styles of Yoga - which, if any are best for general fitness purposes in Abu Dhabi? With so many different yoga styles it does become confusing when it comes to choosing the right style of yoga for you in Abu Dhabi. Much of the time it does depend on your fitness goal and whether you want to practice yoga just for the ‘Yoga’ benefits or whether you want to use yoga for another reason – fitness, weight loss, flexibility etc. Yoga is Abu Dhabi is becoming more popular so we asked a female yoga coach what her take is on the best style of Yoga for general fitness. Yoga in Abu Dhabi is more popular than ever as more and more people are starting to understand the real health and lifestyle benefits that regular yoga practice provides. One question that people regularly ask is whether yoga is a good choice for ‘general fitness’. Although yoga can’t really be measured when compared to other fitness methods like cardio, HIIT and aerobics do you think there is a particular style of Yoga that does work well for general fitness purposes? If so can you provide some example Yoga poses that are good for general fitness and explain how and why they work? All styles of Yoga are good for you and there isn’t a bad pose. It’s what style is good for you and there are many styles of Yoga on offer in Abu Dhabi. Ashtanga Yoga is fast paced Power Yoga guaranteed to make you sweat, but it is not everyone’s choice as it can be difficult. The most popular style of Yoga is Hatha, which is the main source of all other Yoga styles. It can be fast paced or slow/fast flow. There is Vinyasa Yoga, which is a creative flow and can be quite invigorating. Yin Yoga which is challenging as poses are held for 5 minutes, great for stretching and releasing tension in your body. Over time with any Yoga practice you will tone up and loose weight. Its not a quick fix, changes along with a healthy diet start to notice after one month at a minimum. On average Yoga Asana should be practiced at least 3 times per week to really make an impact on your body, mind and spirit. There are also other parts of Yoga that include pranayama (breathing), meditation and chanting, which greatly improve overall wellbeing. These immersed with a physical practice are a remedy for a healthy and balanced lifestyle. The best Yoga poses if you are new to Yoga are Sun Salutations, these are strength building and heat creating sequences, stretching the entire body at the same time. Yoga for health and fitness is a low impact exercise method. The Yoga coaches listed on the UAE Personal Trainers website can provide Yoga classes and private coaching at home or another location to fit in with your schedule. Yoga for adults, kids and seniors.